With unemployment rates high, tight finances and tough decisions to be made, many parents aren’t able to send their children to summer camp as they might have in years past. For parents who have been forced to cut back, how to keep the kids cared for, entertained and engaged this summer can be a real source of stress. While sending the kids off to camp may not be an option, hosting your own home-based summer camp may be an idea well within reach. 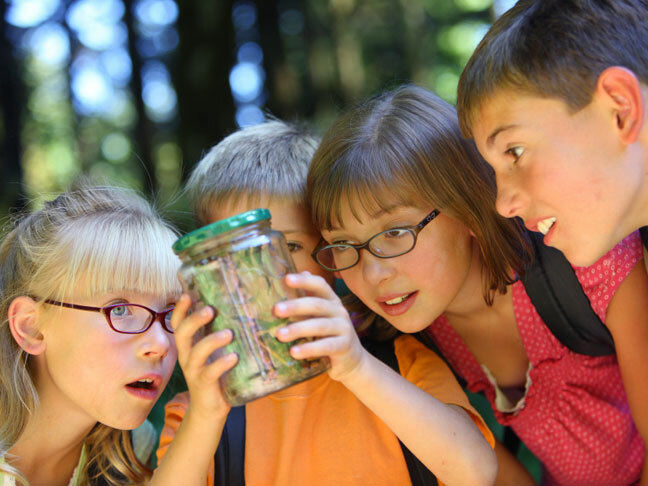 Like with any successful camp, careful planning is involved when hosting a home-based summer camp. To have a successful camp, first take your children’s interests into account and devise a theme for your camp. There are many possibilities like sports camps, arts & crafts camps, water fun camp and cooking camp. Next, you’ll want to pick your camp dates and times. Select a week and structure your camp day. Break your day into segments that include time for activities, snacks and meals. Have a printed schedule ready that includes arrival and departure times, meal times and activity times. Once you’ve solidified the theme and structure of your camp, you’ll want to gather your supplies. Your local dollar store, craft store and the Internet based Oriental Trading Company are great resources for affordable supplies. To give your camp a more authentic feel, allow your child to invite a friend or two and see if their parents are interested in being co-counselors and co-supply contributors. You’ll also want have a special event the last day of camp. This could be an art show or backyard Olympics, depending on your theme. While it takes a little planning and work, hosting a home-based camp can be an affordable route to having a lot of fun. Have you had to opt-out of camp this year? What are you doing to fill the void? Please share your stories and ideas with us in the comments section below.